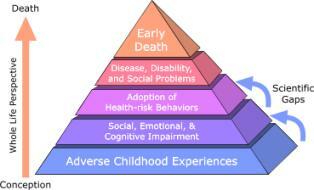 The Adverse Childhood Experiences (ACE) Study is one of the largest investigations ever conducted to assess associations between childhood maltreatment and later-life health and well-being. The study is a collaboration between the Centers for Disease Control and Prevention and Kaiser Permanente’s Health Appraisal Clinic in San Diego. More than 17,000 Health Maintenance Organization (HMO) members undergoing a comprehensive physical examination chose to provide detailed information about their childhood experience of abuse, neglect, and family dysfunction. To date, more than 50 scientific articles have been published and more than100 conference and workshop presentations have been made. 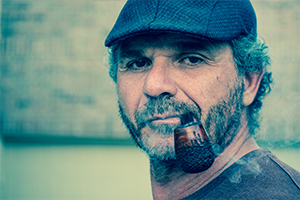 The ACE Study findings suggest that certain experiences are major risk factors for the leading causes of illness and death as well as poor quality of life in the United States. It is critical to understand how some of the worst health and social problems in our nation can arise as a consequence of adverse childhood experiences. Realizing these connections is likely to improve efforts towards prevention and recovery. 3) Household dysfunction: Witnessing, addiction, crime, parent-to-parent violence, mental illness etc. As devastating as all of this is, we now have the knowledge and the science to build a global effort to reduce the impact of childhood adversity and violence against children. If we can reduce the dose of adversity and toxic stress we are not only fulfilling our human rights obligation to protect children, but also potentially ensuring long-term reductions in poor public health, low productivity, high crime etc. 3) Break the public taboo on childhood adversity which prevails in almost all of the countries in our region. Is Modern Day Slavery An American Problem? I could not have said it better. You let me know if that day is ever up on deck, because THAT is the day I want in on. Peace. Abuse happens to men, women, children, animals, all “walks of life” that are equal members of world society are impacted in many ways, both directly and indirectly from the damage caused to any life. It should never be an argument of man versus women or child against Adult, “World day for no violence to all” is the call to action to raise awareness that anyone can fall victim to show that we care enough to assist those who fall.